Another monoprint, this one full of sunshiney joy. I went through a period where I painted people in every color of the rainbow, and so we have this magenta-skinned girl with her matching hair, dancing in a green meadow full of little yellow flowers. Even the plate seems to dance on the page. Something happy for a Tuesday! 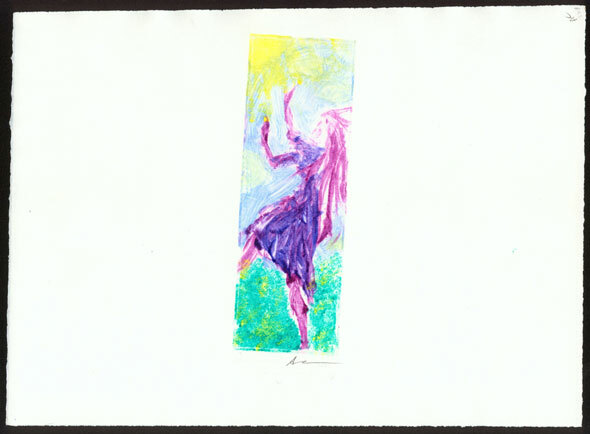 Dance, 2″x6″ monoprint on 8″x11″ watercolor paper.